Are you considering a relocation to Florida? Augustina Realty can help! We have skilled and experienced agents that specialize in relocation to assist you. We also have relocation experts throughout the entire state of Florida to service whichever area you are considering. Living in the Metropolitan Jacksonville area of Northeast Florida has never been more attractive than now. With St Johns County being rated best schools in Florida by Business Insider, Ponte Vedra Beach being rated best place to live by Coastal Living Magazine and St Augustine rated best place to live in Florida by Money magazine, Northeast Florida is a destination to be discovered. Growth is everywhere. Many new roads under construction making commuting easier throughout the region, there really is something for everyone. The weather here is also quite nice! Hot Florida Summers on our beautiful beaches, Gorgeous Spring and Falls with ideal conditions for sunbathing and a very short winter typically from Dec 15 until about March with average daytime temperatures of 50 degrees and some cooler evenings. Property taxes are also modest within the region, fluctuating by City and County. There are six main Counties within Northeast Florida to consider when planning to relocate. Each area is quite different with ideal living options for every lifestyle! Let's explore some of the areas of interest. Nassau County: Nassau County is the northern most area within the Jacksonville area also known as North Jacksonville. Nassau County is home to Amelia Island, the southernmost barrier island along the Atlantic stretching from the Carolinas to Florida. Amelia Island stretches 13 miles long and approximately 4 miles wide and is home to the community of Amelia City, Fernandina Beach and American Beach. Rich in history, Amelia Island encompasses beautiful resorts such as the Ritz Carlton Amelia Island and the Omni Resort at Amelia Island and six golf courses. The beach is gorgeous and the downtown is quaint with many eateries and shops. Amelia Island is host to many annual festivals which include the Isle of Eight Flags Shrimp Festival in May, The Amelia Island Jazz Festival, The Amelia Island Chamber Music Festival, The Amelia Island Film Festival, Amelia Island Concours d'Elegance (an automobile charitable event held in March of each year at the Ritz Carlton), and the Amelia Island Blues Festival. Fernandina Beach offers comfortable lifestyle options from Active Adult communities to Family Activity communities with Superb "A" Rated Nassau County school options throughout. There are surrounding communities on the mainland as well that offer acreage options for those who prefer more space throughout communities such as Yulee or Callahan. All of these options are within easy commutes to downtown Jacksonville, the Shipyard and many other industrial areas within the west side of Jacksonville. To see all available homes in Nassau County, click here. Duval County: Duval County is home to Metropolitan Jacksonville, with an abundance of options for every lifestyle. For Beach Lovers, some great communities to visit are Neptune Beach, Atlantic Beach and Jacksonville Beach. The Beach area is vibrant with lots of Foodie favorites such as Neptune Beach Fish Camp, Marker 32 or Alhambra Dinner Theater. Jacksonville Beach may be the future home to Jimmy Buffet's Margaritaville Hotel and Restaurant with "It's Five O'clock Somewhere" bar and grill. There is no shortage of shopping either with St Johns Town Center. The Jacksonville Beach Art Walk Festival is also an event to note. There are lots of great living options in the beach area as well including low maintenance condominium lifestyle. Downtown Jacksonville is also home to some fabulous eateries such as The Black Sheep, Restaurant Orsay, The Chart House, or Taverna and Bistro AIX in the charming San Marco area, just outside of the city. The Jacksonville Zoo is also a great place to enjoy the beautiful weather and there are so many captivating photo spots along the St Johns River, the longest river in the state of Florida, which after stretching over 310 miles through the state, opens into the Atlantic ocean through downtown Jacksonville. Downtown Jacksonville has many projects in the works with lots of low maintenance luxury lifestyle options. There are also some amazing Magnet School options throughout the Jacksonville area! West Jacksonville is home to many industries such as our military Naval Station Mayport, Boeing and Amazon are among the few. Jacksonville Equestrian Center is also located within Western Jacksonville. Mandarin is another area within southwest Jacksonville with lots of shopping, restaurants and high rated schools. Jacksonville is also host to some great Festivals such as the Jacksonville Jazz Festival, Gastrofest, The FoodTruck Festival and more recently the North Florida Comic Con Festival. To see all available Jacksonville homes, click here. Clay County: Clay County encompasses the region southwest of Jacksonville which includes some popular communities such as Fleming Island, Middleburg, Green Cove Springs, Orange Park with an enormous Master Planned Community such as Oakleaf Plantation. Clay County is also home to some great restaurants such as Whitey's Fish Camp and Santioni's to name a couple. Clay County is also known for its great rated public schools and festivals to include The Bostwick Blueberry Festival, The Clay County Strawberry Festival and the Clay County Fair. To see all available Clay County Homes for sale, click here. St Johns County: St Johns County is home to the first city in the nation; St Augustine, as well as many other desirable areas such as St Johns, Ponte Vedra and Ponte Vedra Beach. Coastal Living magazine recently rated Ponte Vedra beach and the best place to live in Florida, along the coast. Ponte Vedra Beach is home to The Players Club Championship golf course and community with Sawgrass Marriott Resort and the Ponte Vedra Inn and Spa. Ponte Vedra Beach offers luxury housing options resembling the elite area of the Hamptons in Long Island, New York. In addition there are beautiful housing communities with laid back low maintenance condo and villa life or various style single family residences. Public schools are "A" Rated along with being home to the exclusive Bolles private school option. Ponte Vedra Beach has easy commuting access to Jacksonville and ideal shopping and dining nearby. To see all available Ponte Vedra Beach homes, click here. Ponte Vedra is just west of Ponte Vedra Beach and is home to Nocatee, the second fastest selling Master Planned community throughout the United States. Nocatee has several communities within including multi family options and Active Adult communities such as Del Webb or Artisan Lakes. In addition, Nocatee has an amazing amenity center with fitness, several pools, water park and a splash park opening soon. Nocatee also hosts food truck nights, farmer's markets and concerts. The Nocatee town center is stocked with all the essentials making it convenient for everyone within their community. There are additional communities within Ponte Vedra but just outside of Nocatee which encompasses most of its area. Ponte Vedra is part of St Johns County making the majority zoned for top rated St Johns county schools. To see all Ponte Vedra homes available, click here. St Johns is a fast growing community just west of Ponte Vedra with easy access to Jacksonville and top rated schools as well. St Johns is nestled between US 95 and the St Johns River and is home to many top rated communities such as Durbin Crossing, Julington Creek, Julington Lakes, Rivertown, Celestina and many more. There are fabulous dining options as well such as Julington Creek Fish Camp nearby sitting right on the St Johns River. This high demand area has many new improvements in the works as well including The Pavillion at Durbin Park, a 644,000 square feet shopping Mecca to include such anchors as Bass Pro Shops, Home Depot, Walmart and many more. There is a plan for a major Entertainment center there as well which should be in phase two. Durbin Park is planned to be the largest shopping area in Northeast Florida when all phases are complete. In addition, Highway 9B, soon to be completed and renamed US 795 is set to drop off right next to the Pavillion at Durbin Park, making it easy access to all of Jacksonville and the Jacksonville Beach Pier area as well as other beach communities. The completion of this road is set for 2018. To see all available St St Johns homes, click here. Just south of all of this is home to the oldest city in the nation, St Augustine, FL. On August 28, 1565 St Augustine, Florida was sited by Pedo Menendez de Aviles who had set out to La Florida. Ponce de Leon is said to have originally landed ashore in search for the Fountain of Youth within St Augustine in 1513, giving the state its name. The feast day of St Augustine is on August 28 which is how the oldest city in the nation got its name, much like my grandmother Augustina, also born in conjunction with the famous feast day throughout Europe. Downtown St Augustine is rich in history and culture. With its cobblestone streets and ancient concrete structures, downtown St Augustine is a tourist's haven! For those who love travel or with European history, St Augustine is the closest city to a European village in our nation. 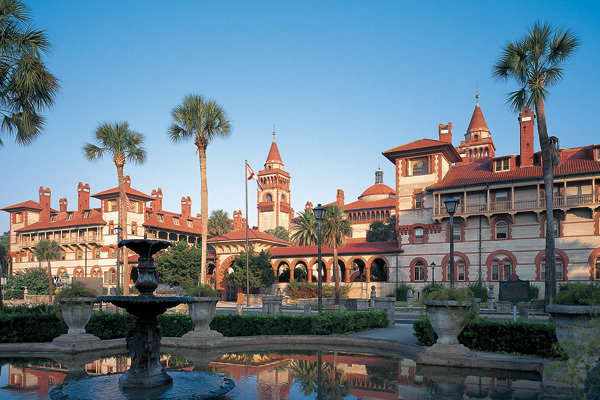 Downtown St Augustine is filled with amazing restaurants and shops, Fort Menendez, Castillo de San Marcos, The Fountain of Youth, The Lightner Museum and of course, the beautiful Flagler College, formerly known as the Ponce de Leon Hotel. A short ride away is also the Lighthouse and Maritime museum which is also considered a haunted Lighthouse! There are Ghost and Graveyard tours as well as trolley tours and horse and carriage rides for the more romantic at hearts. The historical churches are an amazing site as well such as the Cathedral Basilica of St Augustine St. Photios Shrine or the Flagler Memorial Presbyterian Church, said to have the largest piece of Terracotta in the US on its roof. St Augustine is also host to many great Festivals such as the Lions Seafood Festival, Anastasia Music Festival, The Festival of Lights, Rhythm and Ribs Festival, Florida's Birding and Photo Fest, Epic Flower and Garden Expo, St Augustine Easter Parade, St Augustine St Patrick's Parade, Menorcan Heritage Fest, The Cathedral Festival, Holy Trinity's Greek Festival and so many others! The beaches of St Augustine are also amazing! Vilano Beach is the northern most beach which connects to Ponte Vedra Beach direct via A1A. St Johns County Pier is to the south, located on Anastasia Island which also has a Splash park for children and an amazing Farmers Market on Wednesday mornings. The St Augustine Ampitheater is an outdoor theater which hosts many concert venues and events such as the Farmers market on Saturday mornings. Locally grown produce and organic meats and dairy are available here in addition to artwork, handmade goods and bakery items. This is such a great way to spend your Saturday morning! St Augustine is also home to many of St Johns County finest public schools, amazing restaurants such as Caps on the Water, Michael's Tasting Room, Osteen's, Cellar 6, Black Molly, Prohibition Kitchen and so many more! St Augustine offers many housing options for families and active adults alike with everyone in between. The St Augustine Premium Outlets offer great shopping options without driving to Jacksonville and the new infrastructure in progress will make commuting to all parts of Jacksonville more simple! Communities such as World Golf Village, Shearwater, Bannon Lakes, Palencia St Augustine Shores, Anastasia Island, Crescent Beach and Trailmark are just a few of the many options. Elkton and Hastings are also communities that offer affordable land and while a little out of town, also offer close proximity to farms with markets for fresh produce, pumpkin picking and hayrides. TO see all available homes for sale in St Augustine, click here. Flagler County: Flagler County is home to another sought after area of Palm Coast. Palm Coast offers a nice mix of nature preserves and golf clubs. It is also home to many highly rated public schools and offers beautiful beaches. Palm Coast is considered part of the Deltona, Daytona and Ormond beach area. To see all available homes for sale in Palm Coast, click here. 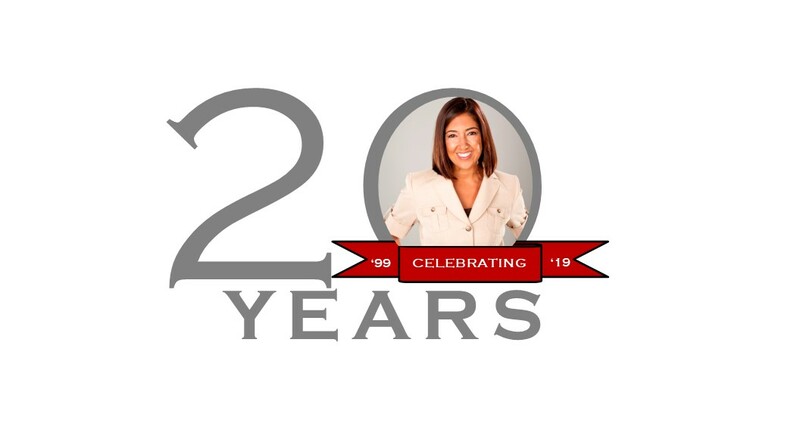 Contact us today for assistance with weather, lifestyle, home searches and so much more! We also encourage you to consider St Johns County, Clay, Duval, Flagler or Nassau Counties too! Low property taxes, great weather with change of seasons, low unemployment, beautiful beaches and amazing golf courses surround these areas along with so much more! Contact us today for personal service assisting you in your exciting move!